Apple’s iPhone 8 has reclaimed the top of the sales chart, narrowly edging out the newer Galaxy S9 Plus, which fell to No. 2 and hasn’t exactly helped Samsung’s profits. 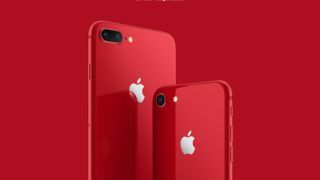 It also did better than the iPhone X by reaching a 2.4% market share and bouncing back from lower sales back in April, according to a data from Counterpoint Research. This boost in sales is attributed to smart advertising in Europe, namely Apple’s recent “How to shoot on iPhone” ads, which led up to the start of the World Cup last month. In fact, all three current iPhones are sitting in the top five, according to the numbers from May, the latest sales data available. The iPhone X is in third place, with 2.3% of the market share, and the iPhone 8 Plus is in fifth place at 2.1%. The Samsung Galaxy S9 and Galaxy S9 sales figures have been seen as disappointing, even though both phones are still showing overall strong numbers. The S9 Plus only slipped to second place, essentially tied with the iPhone 8 at a 2.4% market share. The problem is the S9 phones are much newer, so it’s odd that they’re not performing better. Samsung warned investors about slowing sales of flagship phones in April after its Q1 earnings call, so these results only reflect that truth. However, we are expecting the Samsung Galaxy Note 9 later this year, and that should inject some sales into Samsung’s lineup – but thats when there will be a new line of iPhones on the market. One of the biggest takeaways from this report might be a bit subtle – Chinese manufacturers like Huawei, Xiaomi and Oppo are taking more of the market share than ever before, and that’s surely part of the reason behind the Galaxy S9’s slowed sales. The Xiaomi Redmi 5A sat right behind the iPhone X in May, enjoying 2.2% of the market share. Both the iPhone 8 and the Galaxy S9 are enjoying great sales in the West, but it’s becoming clear that phones from Chinese companies, ones with innovative designs that rival Apple and Samsung in many ways, are making a huge impact worldwide.